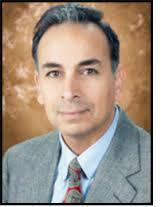 Dr. Habib is Associate Professor of Medicine t University of Texas Health Science Center and Research Scientist in the South Texas Veterans Health Care System at Audie Murphy VA Hospital, San Antonio, Texas. He is a recipient of several research grant awards from American Diabetes Association, American Heart Association, National Kidney Foundation, New Investigator Award and Merit Review Award from Veterans Affairs, and Pilot Research Award from NIH/NIDDK. Dr. Habib is a regular member on several study sections of the Medical Research Program, Department of Defense and Veterans Affairs. He is also an editorial board member of 15 journals.